Five benefits of wearing babies, in celebration of Babywearing Week! 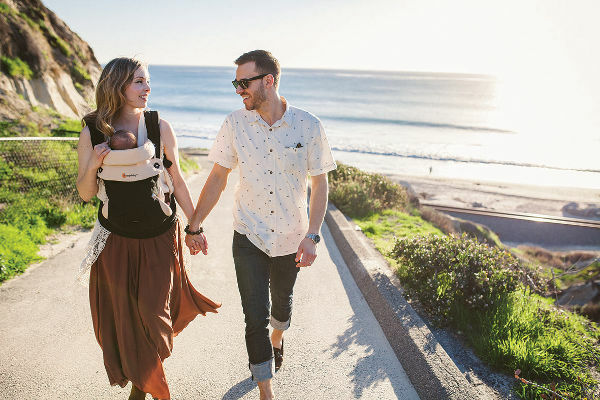 It’s the hands-free, hands-on way to carry your child, and this week Australia and New Zealand are applauding babywearing in a big way. In recognition of Babywearing Week, we’ve put together five reasons why babywearing is awesome – so throw your hands in the air like you just don’t care (and you can, because your baby is safely in their carrier!) and celebrate babywearing with us! One of the first things you realise after having your first baby is just how much babies love to be held. After all, they’ve been with you for nine months, it’s only natural they’re keen for constant cuddles. Of course life doesn’t stop when baby arrives, and you still need to be able to function while comforting your baby. That’s when babywearing really comes into its own – as both a comfort for your baby, and chance for you to get some things done (or at least enjoy a cuppa!) There are a host of reasons why babywearing is beneficial – both for babies and carers. Physical contact is one of the best ways to create security between a child and parent. University of Queensland parenting researcher Dr Koa Whittingham says creating a secure attachment bond between a child and parent forms a solid foundation. “A child with a secure attachment bond uses his or her parent as a secure base from which to confidently explore the world, as well as a safe haven to retreat to for guidance and comfort. Secure attachment forms a bedrock for a lifetime of mental health, wellbeing, and healthy, happy relationships,” she explains. Dr Whittingham says this also extends to grandparents, and other secondary caregivers. Because babies are familiar with the things they’ve heard and felt while in the womb – like a heartbeat, breathing patterns of their mum, as well as the smells and warmth of their carers, babywearing gives them comfort. According to Babywearing Week founder Babes In Arms, this decreases the baby’s stress hormones. The comfort that a baby feels while being in a carrier during the day, appears to extend into their sleeping habits. Studies have found that babywearing reduces crying and fussiness during the day and night, by around 50 per cent. Babes In Arms says carried babies also fall asleep quickly and have deeper sleep cycles. A baby writhing in pain from reflux is a heartbreaking sight. 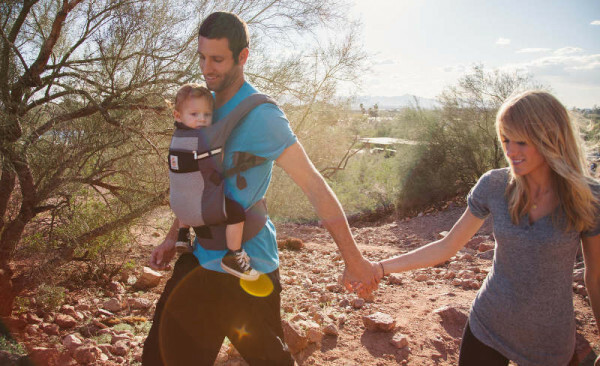 Wearing a baby in a carrier may help reduce reflux and colic symptoms. Carrying a baby close helps stimulate their growth hormones, as well as their cardiac output, circulation and muscle development. This week marks the sixth annual Australia and New Zealand Babywearing Week – and this year’s celebration has a new focus. While the event’s main focus is raise awareness of babywearing, this year there’s a charitable twist. As part of Babywearing Week, donations of baby carriers will be made to those in need. There’ll also be Ergobaby Carrier gifts donated to babywearing groups. For more information, have a look at Babywearing Week. 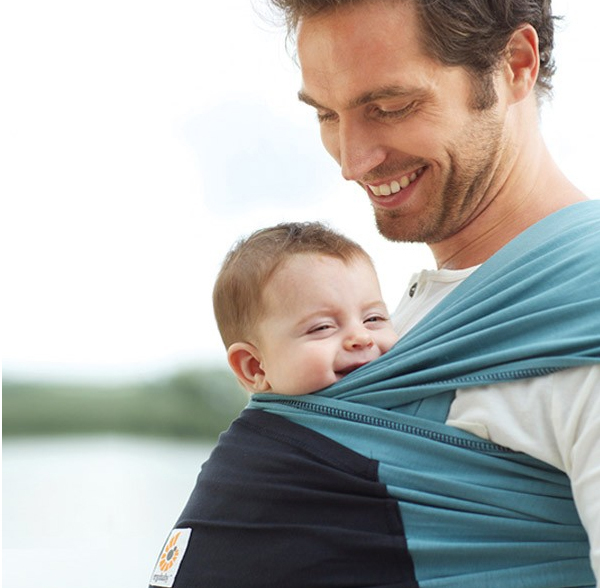 You can also have a look at our post on five reasons why babywearing benefits dads and their kids. And if you’re in the market for a sling or carrier, make sure to browse our archives for some great options.